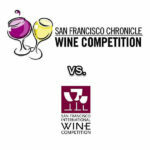 The 2014 San Francisco Chronicle Wine Competition results are in on their website and Texas was very well represented. 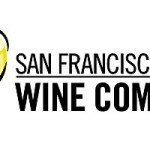 A total of 5,825 entries from 1,500 wineries from over 25 states in America participated. 20 Texas wineries won a total of 87 medals. Perissos Vineyards won a Best of Class for their 2012 Aglianico estate grown wine. Grape Creek Vineyards won a Double Gold for their 2012 Rendezvous. Here is the list of Texas wineries along with their medals. Note: If you want to copy this data, please put a return link back to this post. Thanks Miguel. I have visited all the wineries but I would think most of these wines are current wines, so I may not have had the chance to try them. 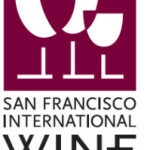 And of course with other wineries we don’t see listed, they may not have even entered the wine competition. I have been to Texas several times last year and have visited many of the wineries there. I have tasted all but a few wines from this list and in all honesty, these wines have earned their awards. Regardless of the harsh and hostile conditions the regions are subject to,Texas wines have come a long way and are constantly developing in quality. Yes the Texas wine scene is still in its developing stages, nonetheless, these wines have a promising future. FANTASTIC JOB! GO TEXAS!! !